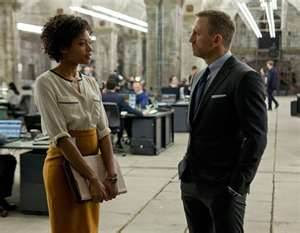 A reader sent in this photo (sorry, I couldn't find a larger one) and asked if I could recreate this outfit from Skyfall. She mentioned that the woman wore short booties with this outfit, so I did the best I could based on the image below. Click on any of the images, if the skirt link isn't working try and click HERE as it is still available.